In August, Lipof moved to the Sunset. The Sunset District has long been considered the suburban outskirt of San Francisco. It’s where the surfers and the families live, where few Muni lines run, where one goes to “retire” from the bustle of urban San Francisco. But the neighborhood, like so much of San Francisco, is changing. Long home to the city’s largest Asian American community, suburbia in the Sunset appears to be giving way to the urban chic stroller set – identifiable by their wide-legged sailor pants, organic cotton tops and well-dressed babies — and young artists, many of whom have found a refuge of quiet, open space and community-minded businesses in one of the city’s last affordable outposts. Then there’s the matter of the garage. We hope the newcomers to the Sunset are aware of the efforts being made in Sacramento to turn their new touch of suburbia into the bustling , crowded cramped neighborhood they just escaped. If Senator Wiener is successful, they will soon find their little bit of beachfront disappearing behind a towering shadow, and their garage turning into an ADU. Should they attempt to add a unit for their growing family, they may find they are sued unless they build to the max in their own backyard. Watch SB 50, SB 330, and AB 1515 carefully and be sure to vote for the state representative that protects your rights to live the way your lifestyle you way. The good folks in Sacramento are back at it. They propose replacing our Planning Dept. by virtually eliminating local zoning! 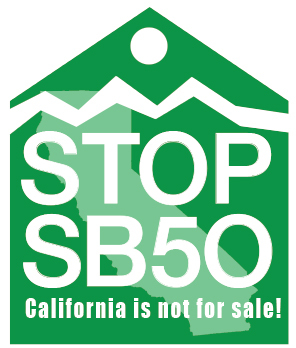 SB 50 would allow buildings up to 8 or 9 stories, anywhere in SF! And virtually no backyard requirement, as well. It’s the return of SB 827 & 828. And developers can then add on the state density bonus for more height and less affordable inclusionary housing. Yes, there is a housing & jobs crisis. 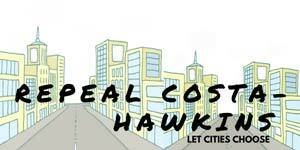 Do you think Sacramento will fix the housing problem by legislation that frees developers without providing money for affordable housing and transportation? And what about the CASA program and proposed massive regional enterprise? Speakers Michael Barnes, economist, CASA critic, Albany city council member, and Ozzie Rohm, local housing advocate, will answer your questions and discuss what can be done. There will be a panel discussion on CASA and SB 50 at Haight Ashbury Neighborhood Council this Thursday, Feb 14th starting at 7:00 pm. Thanks to Tes, I’ve been asked to be on this panel. I will be sharing this with a knowledgeable activist from the East Bay, Michael Barnes. He will cover CASA while I’ll go over SB 50. The meeting is open to public.